Space weather accounts for the most substantial errors experienced by GPS/GNSS systems and their users. It is the single largest contributor to the single-frequency GPS error budget, and a significant factor for differential GPS. But exactly what is space weather? And how does it affect satellite navigation systems? The solar wind has never blown anyone’s hat off, but it has literally destroyed electrical transformers and the electronic systems on satellites. Although space weather, except for the brilliant auroras, is invisible to the human eye, technologies can see it and feel its punch. As illustrated by the sidebar on page 34, (to view, download the pdf of this article using the link above) “December 6, 2006, Solar Eruption,” solar activity can have a very large effect on GNSS systems and users. Increasingly, good predictions of space weather are ever more important to the GPS community as it strives to do more with the capability that GPS provides. This article describes some of the salient aspects of space weather, the scientific efforts being applied to monitoring and predicting it, and the resources available and under development to aid GNSS users in dealing with its adverse effects. A more or less official source — the National Space Weather Program Strategic Plan — defines space weather as “conditions on the sun and in the solar wind, magnetosphere, ionosphere, and thermosphere that can influence the performance and reliability of space-borne and ground-based technological systems and can endanger human life or health.” The National Space Weather Program consists of NASA, the National Science Foundation, and the U.S. Departments of defense, commerce, interior, and energy. This imprint may be either a signal with a time error or a signal that scintillates – “twinkles” – to such a degree that a receiver can’t track it. The time errors result in pseudorange errors, and the scintillations can cause a receiver to lose lock on the signal. Space weather drives the instabilities in the ionosphere, and these have varying time and spatial scales. Data and observations over many years have shown that the Sun gives/takes the more spectacular types of space weather on roughly an 11-year cycle. At the height of the solar cycle, — the most recent maximum phase occurring during 2000-2001 — numerous eruptive events caused ionospheric storms that adversely affected GPS. These events usually last for a few days and cause rapid changes in the amount and distribution of free electrons that affect the GPS signal as it propagates through the plasma. Think of the maximum phase of the solar cycle as being analogous to the hurricane season — it is a time of strong space weather activity with periodic pulses that have extraordinary impacts. A more subtle but significant contributor to the solar cycle variability seen in the ionosphere is the fact that the Sun’s output in the extreme ultraviolet (EUV) wavelengths increases by a factor of four to five from solar minimum to maximum. Literally, the Sun brightens and dims in its output of EUV, and EUV is the primary driver of photo-ionization in the middle ionosphere. The ionosphere is seen to “bulk up” when the Sun is providing more EUV, which increases the amount of free electrons that, in turn, affect the GPS signal. Currently Solar Cycle 23 is near its end and in a minimal state of activity. Signs of the beginning of the new cycle are anxiously anticipated. The solar EUV flux is low, eruptive events are rarely occurring, and the ionosphere is well-behaved for GPS users. What is the latest prediction for the likely character of the coming solar cycle, Cycle 24? A blue-ribbon group, the Solar Cycle 24 Prediction Panel — convened by NOAA, NASA, and the International Space Environment Service (ISES) — has had serious, lively deliberations aimed at predicting the magnitude of the next solar cycle. As of this writing, the panel is split. This first faction argues that the magnetic fields will be drawn into the solar interior and percolate to the surface in the next few years as sunspots, which provide the prime metric by which solar cycles are measured. Indeed, the solar polar fields over the past 30 years show a relationship between the strength of the solar polar magnetic fields and the magnitude of the next solar cycle. If a cause and effect relationship exists in these data, a prediction of a small Solar Cycle 24 is clearly reasonable, given that the solar polar fields were very weak at the appropriate phase of the current solar cycle, around 2005. On the other hand, a dissenting faction of the prediction panel believes that a different metric provides a more relevant and necessary observable for foretelling the size of the next solar cycle. That metric is the strength of the meridional flow seen at the solar surface, over the time period of the past two solar cycles. This meridional flow is the movement of magnetic flux from low solar latitudes to the polar regions, supplying the new cycle’s magnetic field with which to work. If the meridional flow model truly captures the relevant physics, then a prediction of Solar Cycle 24 being 30–50 percent larger than Solar Cycle 23 is reasonable; hence, the debate within the scientific community. The GPS community needs to know how Solar Cycle 24 will play out: a strong cycle bodes for more ionospheric storms in the context of a “bulked up” ionosphere. A weak cycle means fewer ionospheric storms against a backdrop of a more svelte ionosphere. The National Oceanic and Atmospheric Administration (NOAA) has made a variety of space weather products — including near-real-time total electron counts — available to the GPS/GNSS user community. These are developed and produced at the Space Weather Prediction Center (SWPC) in Boulder, Colorado. The SWPC is a component of the National Centers for Environmental Prediction (NCEP) of NOAA’s National Weather Service (NWS). SWPC includes a 24/7 Space Weather Forecast Office that provides alerts, warnings, watches, and appropriate products to a varied user community, both nationally and internationally. The SWPC is designated as the World Warning Agency for space weather of the International Space Environment Service (ISES). This organization works under the auspices of the International Council of Science (ICSU) and is comprised of 12 member nations and the European Space Agency. In addition to GPS, development of other satellite constellations — GLONASS (Russian Federation), Galileo (Europe), Quasi-Zenith Satellite System or QZSS (Japan), and Compass (China) among others — have raised awareness of the international GNSS community’s need to know the condition of the ionosphere — space weather — that affects their own GNSS system. Space weather is the common thread that stitches together all of the GNSS and augmentation systems. The ionosphere must be dealt with. Within NOAA, several agency partners contribute to the space weather products. The National Geodetic Survey’s Continuously Operating Reference System (CORS) makes the real-time measurements of the ionosphere used by SWPC’s data assimilation model. The National Geophysical Data Center (NGDC) operates the infrastructure over which these measurements flow to SWPC with minimal time latency. The expertise and measurements of the Global Systems Division (GSD) of the Earth System Research Laboratory (ESRL) contributed to SWPC’s development of its ionospheric product derived from GPS observables. GSD extracts precipitable water vapor estimates for the benefit of terrestrial weather users. As the result of this cooperative effort, space weather products for GPS are available from SWPC. Figure 4 presents an example of the United States Total Electron Content (US-TEC) product (Figures available only in the pdf of this story. Download it at the site indicated, right below the headline). It shows North America, with contours of TEC. This graphic illustrates typical solar minimum conditions with values ranging from less than 5 to more than 30. The symbols on the map in Figure 4 represent the measurements incorporated into the data assimilation, numbering 99 in this example. Data contributors are NOAA CORS, NOAA GSD, and the International GNSS Service (RTIGS). The US-TEC product is produced every 15 minutes and available on line at http://www.swpc.noaa.gov/ustec/index.html. The value of US-TEC lies in its ability to quickly show GPS users where areas of high gradients — multi-colored swaths on the map – and high values exist. The gradient structures may affect some receiver’s ability to lock onto signals, while high values may cause single-frequency users to experience unexpected positioning errors. The current version of US-TEC is a specification of the conditions that existed approximately 30 minutes ago. That latency is a result of data collection, transmission, and model processing time. The ideal situation would be an ability to forecast the conditions to occur in the ionosphere. The plan of the SWPC – and appropriate to the “prediction” verb in the center’s title – calls for the timely issuance of forecasts of space weather conditions that will provide practical value to GPS users. The US-TEC product improvements include an ability to find these “walls” of TEC and alert users of their existence and potential effects on their operations. NOAA is both a provider and user of GPS products and services. SWPC is an example of the duality of that relationship. SWPC uses the GPS data it receives through NOAA and IGS to produce US-TEC, which is then provided to the external user community. As the chartered provider of space weather services in the United States, SWPC strives for products that enable users to see what can’t be seen —the overhead ionosphere. GPS has been described as a “fourth utility” after heat, electricity, and water. It is so ingrained into the daily habits of many consumers that the absence of satellite navigation services would be seen as an unmitigated disaster. Countless applications exist that were barely foreseen 25 years ago. Personal positioning services, ranging from the commercial “where to shop” to the critical safety-of-life applications, bound the spectrum of uses. The demands to know one’s location and the location of others seem endless. Consequently, the bar has been raised for space weather service providers if they are to keep pace with the needs and expectations of users. 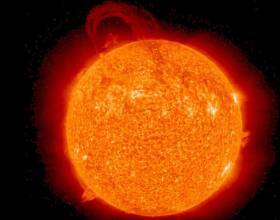 Space weather services must rise to the challenge. Better predictions of the state of the ionosphere, including days-ahead forecasts that begin with a forewarning of a solar eruption, are a desirable goal, however difficult that may be to achieve. Particular applications have been identified that will have very stringent requirements for the user community. The Federal Aviation Administration (FAA) plans to deploy an aircraft management system called automatic dependent surveillance – broadcast (ADS-B). This somewhat unwieldy acronym refers to a system that would enable aircraft to communicate and locate each other within the airspace, relying less on ground-based radar and more on space-based satellite navigation. ADS-B will allow pilots greater situational awareness, enabling them to fly at safe distances from one another with less assistance from traditional air traffic controllers. It has been labeled a crucial component of the Next-Generation Air Transportation System, or NextGen. A core technology for the proper function of ADS-B is GPS. Finally, another application that is experiencing growth and development is the ability to locate cell phone transmissions during an emergency, a procedure that the Federal Communications Commission refers to as automatic location identification. In the United States this has been dubbed E911; the European analog is E112. One of the means cellular operators may implement to locate an E911 caller is to use an embedded GPS chip in the cell phone, allowing a location to be determined and transmitted automatically to an emergency service provider. Conceivably, the requirement for E911 positioning accuracy may increase as users and providers need to reach the site of an emergency more quickly. If steps are not taken to detect and avoid the effects of adverse space weather, it could seriously interfere with the success of this safety-of-life application. Space weather is mostly invisible to the human eye, but at times a blinding beacon to GPS/GNSS systems. It is a major contributor to GPS error budgets, and can, with little warning, cause total loss of one’s ability to use GPS or other GNSS systems. Space weather has both a cyclical component as well as a spontaneous component. A great debate is now taking place about the likely characteristics of the upcoming Solar Cycle 24. Be it large or small, events such as the one seen on December 6, 2006, do occur and can dramatically affect GPS operations. The NOAA SWPC is in close consultation with the GPS user community, to design and produce products and services, in cooperation with other partner organizations with NOAA. There’s no other route – to improve GPS services it requires improved space weather products and services.